Veronique Malebranche was born and raised in Haiti. After 15 years, Ms. Malebranche moved to Miami with her family. She is a graduate of Florida International University where she earned a Bachelor in International Business, followed by a Juris Doctor from St. Thomas University School of Law. 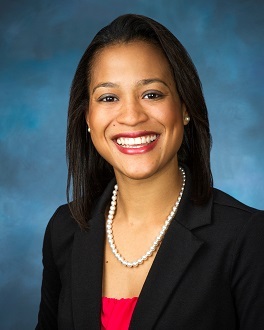 While in law school, Ms. Malebranche served on the board of the Public Interest Law Society as the Liaison between her law school and the several organizations on campus. She served as a Student Attorney with the Public Interest Law Society to receive a favorable decision on behalf of her client at the San Antonio Immigration Court. She was a member of the Moot Court Team and argued at the U.S. District Court in Atlanta Georgia. Currently, Ms. Malebranche is employed with the State Attorney’s Office in Miami-Dade County. She focuses her practice on Family Law, particularly in child support where she serves custodial parents to receive financial assistance from non-custodial parents while maintaining the best interests of children. Ms. Malebranche volunteers her time through law organizations including the Haitian Lawyers Association and the Haitian American Professionals Coalition. Ms. Malebranche has a passion for the law and knowledge. She is constantly seeking to better herself and utilize her platform to support the Haitian community.